Leading the way in July 4th yacht rentals, Chicago Private Yacht Rentals has declared July 1 to July 7 Independence week. 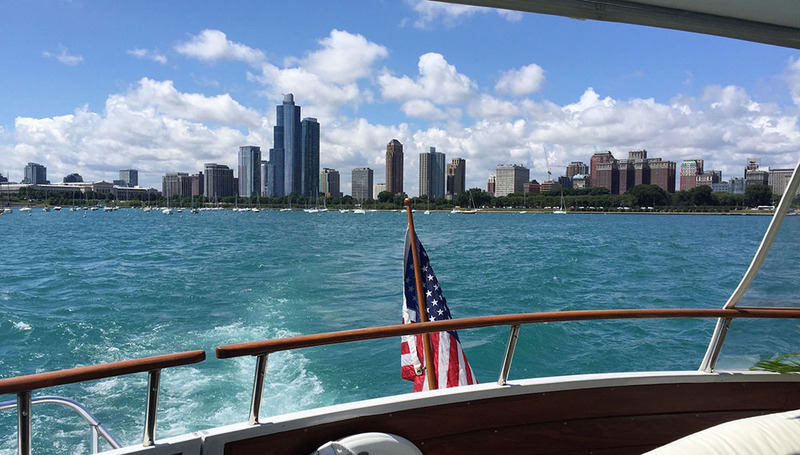 A 4th of July boat rental in Chicago is becoming a popular addition to celebrating Independence Day and Independence week offers additional days and time options for family and friends, businesses and organizations, to have their own patriotic celebration aboard Adeline’s Sea Moose. Adeline’s Sea Moose is a fantastic venue for any celebration and the privacy, personal attention, and pampering guests receive will help make your patriotic celebration the most memorable yet, even if it’s not on the 4th of July. Patriotic party for 2 or 40, our First Mate Services are available to assist you in any way possible. Call (224) 601-0220 and mention this post to receive our patriotic party pricing. Speaking of being patriotic. Ask us about our Standing Tall Honor Cruises for Veterans. In the service of the men and women who have served in the United States Armed Forces, Chicago Private Yacht Rentals has joined United Relief Foundation’s as a Hope and Help Partner and our Honor Cruises are one way we are supporting the Foundation’s Standing Tall for Veterans efforts.